A serial killer has today been found guilty of stabbing and beating a man to death in a frenzied attack in Wembley 20 years ago. 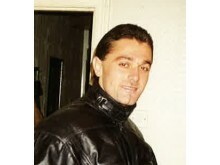 Mane Driza, aka Sokol Drenova, 41 (27.02.78) of no fixed address, was convicted at the Old Bailey on Wednesday, 20 March of killing Albanian national Stefan Bledar Mone in June 1999. The jury took just 90 minutes to find him unanimously guilty. 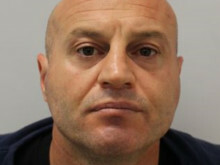 Driza had been extradited from Italy where he was in prison for a double murder and an attempted murder and had previously killed another two people in his native Albania. Detective Inspector Garry Moncrieff, from the Homicide and Major Crime Command, said: “Driza has proven himself to be an extremely violent individual who has no hesitation in dealing with any issue or problem he encounters in life by killing. He has freely admitted all the murders he has committed but never shown remorse. “Stefan, a fellow Albanian, had been his friend but there was a disagreement over a wedding ring that went missing; Driza took the theft of this ring as symbolic and an attack on his manhood. Driza dealt with that disagreement in the only way he knew how, with brutal violence. He wasn’t just trying to teach Stefan a lesson that day, he went out to kill him. “The force and variety of weapons used left more than 120 wounds on Stefan’s body; the jury were in no doubt about his intentions despite his claims of self-defence. What is particularly sad is that Stefan was three months away from becoming a father and never had the chance to see his child grew up. “Stefan was murdered 20 years ago. Driza was very quickly identified as the chief suspect but it has taken many years to bring him before the UK courts to face justice. 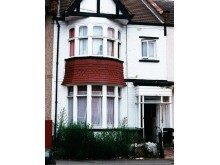 Shortly before noon on Wednesday, 23 June 1999, police were called to a house in Fernbank Avenue. The body of 23-year-old Stefan had been found by his pregnant girlfriend. He had been brutally assaulted - beaten so badly that he was virtually unrecognisable - and his throat had been cut. A cheese knife, a lock knife and a bloody pick axe handle were found in the room as well as a screwdriver under Stefan’s body. Blood splatter analysis demonstrated the ferocity of the attack. A post-mortem examination the following day found more than 120 wounds to Stefan’s body, consistent with the repeated use of the weapons found at the scene. 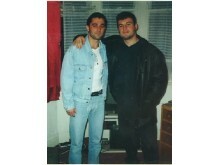 The court heard that both Driza and Stefan had arrived in London from Albania in around 1997 or ’98. They met through mutual acquaintances in the Albanian community and became friends. They both got work, Driza, who was 21 at the time, with a stonemason’s company and formed relationships. The defendant got married but the relationship almost immediately broke down and he began staying occasionally at Stefan’s house. On the morning of Tuesday, 22 June 1999 Driza went into work and told colleagues his friend had stolen his wedding ring and he was going to kill him. He even asked one workmate to take him to buy a knife. He left the hospital around 10:45am, saying he was heading back home to Wembley. CCTV footage showed Driza traveling in the same direction via tube, leaving Northwood station at 09:36hrs, heading for the Wembley area. He had asked a work colleague to drive him to the station, asking if they could go via a shop to buy a knife. Driza kept repeating “I’m going to kill him”. His colleague didn’t think he was being serious. Driza got off the tube at Sudbury Hill, walked to Stefan’s address and carried out the vicious attack. A downstairs neighbour heard banging but had no idea what was happening. At 11:45hrs Driza walked from Fernbank Avenue to a minicab office near the tube station and asked for a taxi to take him to Swiss Cottage where he had a bedsit. The cab driver noticed fresh cuts on Driza’s hands – Driza said he’d had some sort of row with his girlfriend - and also that he seemed to be in a big hurry, asking about shortcuts. In Swiss Cottage the defendant asked another of the residents to help him clean his hands. He was asked what had happened and replied simply that it was nothing and he was fine. Driza then travelled to Victoria where he walked into a travel agents and booked a flight from Stansted Airport to Milan, leaving at 17:00hrs that same afternoon. Stefan’s girlfriend became worried when she couldn’t contact him and decided to go to his address where she discovered his body. A homicide investigation was launched. It was quickly established that Stefan had probably been murdered by someone he knew and CCTV showed Driza’s movements that morning fitting into the timeline of events. Driza was circulated as wanted and close co-operation with the National Crime Agency and law enforcement agencies aboard, meant his details were flagged upon his arrest in Italy for murder. In July 2000 officers travelled to Sicily to interview him; he admitted he had been at Stefan’s address that morning and they had argued over money. He said Stefan had attacked him with a knife and he had defended himself with a baseball bat. He said he couldn’t remember anything further. The trial heard that Driza had a history of extreme violence. In April 1997 Driza was involved in a ‘blood feud’ family argument with a father and son, Elmaz and Lavdosh Kanani, who lived in the same village in Albania as him. Lavdosh Kanani had been jailed for six years for an offence against Mane Driza. On his return to the village on 11 April 1997, Driza shot and killed him. As Driza travelled home, he met Elmaz Kanani and shot him dead too. Driza fled to the UK, arriving in August 1997. Two years later he killed Stefan and left the country, this time heading to Italy. On 10 December 1999, the defendant went with others to a bar in Catania carrying two firearms. He shot dead two men, Maskaj Artan and Blushaj Albert, and tried to kill a third but the gun jammed and he survived. He was arrested the following day and taken into custody. On 21 December 2001 he was convicted in his absence by an Albania court of two counts of murder for the offences there and sentenced to 25 years’ imprisonment. On 6 June 2002 he was convicted at a court in Catania, Sicily, of two counts of conspiracy to murder and attempted murder and jailed for 30 years. He claimed these deaths were also linked to the Albania ‘blood feud’. 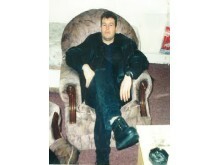 Met detectives began the process of trying to bring Driza back to the UK to face justice for Stefan’s murder. All appeal processes had to be explored and discounted in Italy, which took some time, and there was close liaison with the CPS. 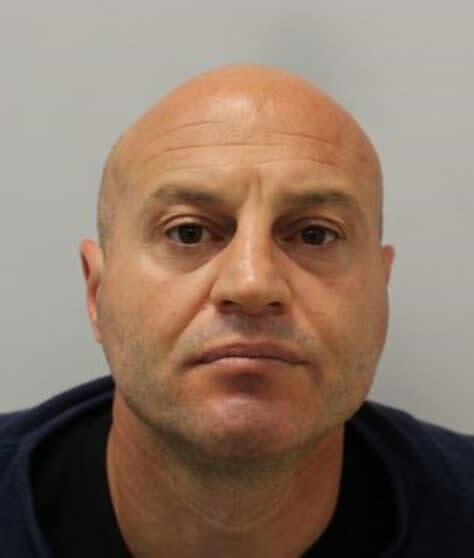 On 31 May 2018 Driza was extradited to the UK and charged with Stefan’s murder, first appearing at Willesden Magistrates' Court the following day. Sentencing takes place on Wednesday, 3 April. In an extract from an impact statement, Stefan’s former girlfriend Zoe Blay, said: “I cannot put into words or begin to explain that day I found Stefan’s body, it has traumatised me to this day, I suffer with flashbacks and nightmares. No one would want to see their loved one laying there like that. “I was extremely scared after that; I moved from the city I had called home my whole life to a city where I only knew two people just to feel safe. I may have felt safe but it added to my depression and stress levels, not good when you are six months pregnant. “…Christopher our loving, kind and beautiful son grew up asking about his father from a very young age, I always told him Daddy is in heaven. When Christopher was about four years old his goldfish died, we said a few words and then flushed the goldfish down the toilet so he could go to heaven. A few days later I found Christopher on the bathroom floor talking to his daddy in the toilet. He thought this was where heaven was, this was truly heart-breaking to watch. “When Christopher was 14 years of age I told him what happened to his father, I gave him newspaper articles that I had kept. When I returned home after giving evidence, Christopher asked me how it went but no more than that. I was shocked and thought he would have been more interested and wanted some questions answered but no nothing. It wasn’t till later on that day when speaking to his girlfriend she told me that whenever Christopher thinks about his father and what happened to him, his heart breaks all over again, he gets palpitations and feels like he is going to be sick. This is why he does not want to know the full extent of that cruel day you took his father away, the fear his father must have felt and the degree of his father’s injuries you caused. 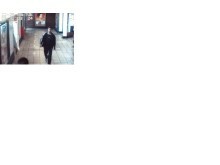 CCTV footage showed Driza traveling from Northwood station at 09:36hrs heading for the Wembley area.